What’s impressive about Moodle, is the extent of in-built functionality. It can be adapted to function as a learning management system for a wide-range of applications; right from K-12 to universities to corporate training websites. Apart from the conventional teacher-student roles, you can create users in form of parents, instructors, corporate managers and so on. Student views a course he/she is interested→ Purchases the course→ Enrols for the course. Parents/Trainers/Educators find a course→ They bulk buy the course→ Enrol several students for the course. Moodle provides you two approaches to implement this. Teachers have the option to enrol several students for a course manually. Similarly, you could create parent or educator roles with similar capabilities. Administrators have the option enrol several users using a CSV upload option. Now, you might not want the administrator to handle bulk enrolments always, and might prefer creating parent or corporate trainer roles. But take note, this might elongate the course purchase cycle. Every time an interested visitor looks to bulk buy courses, they would need to contact you. You then will need to create a user for them on your Moodle site, and then allow them the capabilities to enol students. With this approach, trainers, parents and corporate managers are always dependant on you before enrolling students/children/employees for a course. 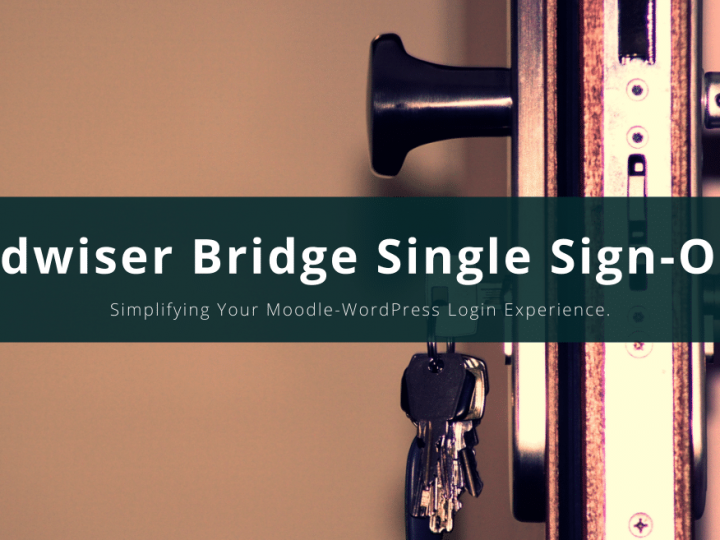 These steps can be simplified using the Edwiser Bridge – Bulk Purchase extension. The connect that’s missing here is a more controlled option to empower trainers, parents and corporate managers (among others) with Moodle course purchases. What you need is an option that allows these visitors to bulk purchase courses and enrol students without administrator intervention. Working to this end, is the Bulk Purchase extension for Edwiser Bridge. With Bulk Purchase, users can purchase multiple copies of a course, and then enrol students as per their accord. And since Bulk Purchase is an extension to WooCommerce Integration, you get the benefit of using a superior e-commerce system for Moodle. WooCommerce Integration brings all Moodle course purchases to WooCommerce. 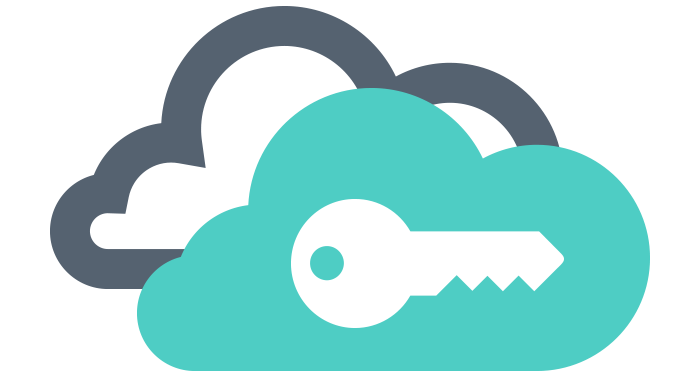 Bulk Purchase allows users to purchase more than one copy of a course. 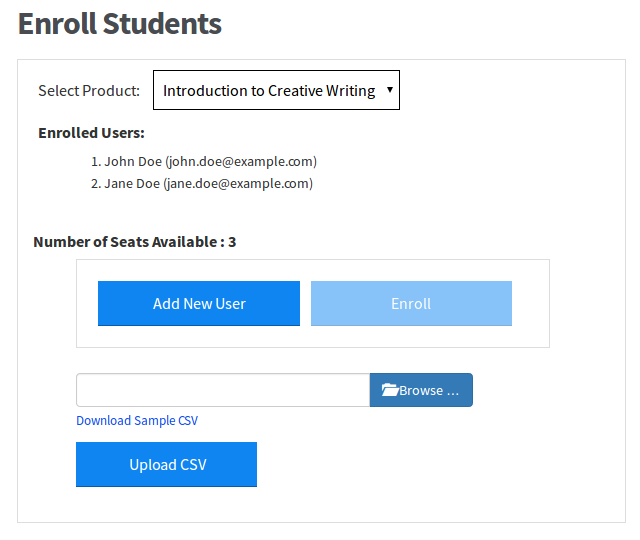 Users have the option to enrol themselves for the course, and add others. The option for instructors, trainers, parents and corporate managers to purchase multiple Moodle courses and enrol students, makes your e-learning website flexible and empowers these users. 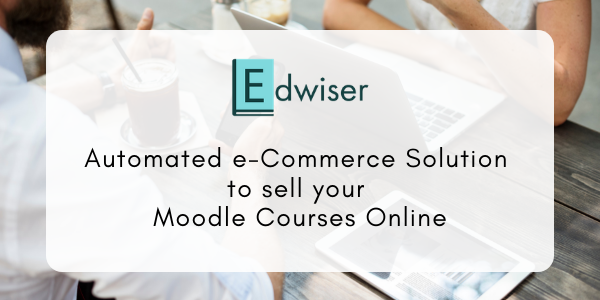 This functionality is undoubtedly required on course marketplaces, K-12 and corporate LMS; and is seamlessly integrated with Moodle by the Bulk Purchase extension for Edwiser Bridge. Have you found a better way to do this? I’d like to hear your thoughts! Which LMS is Better For You- Moodle or Blackboard?